NO. 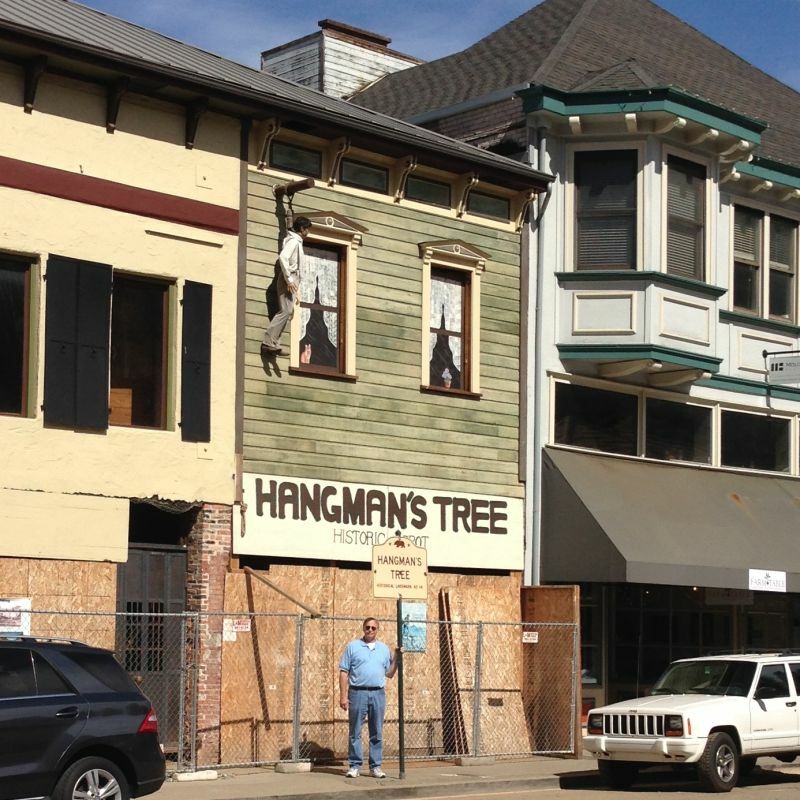 141 HANGMAN'S TREE - In the days of 1849, when this city was called Hangtown, vigilantes executed many men for various crimes. 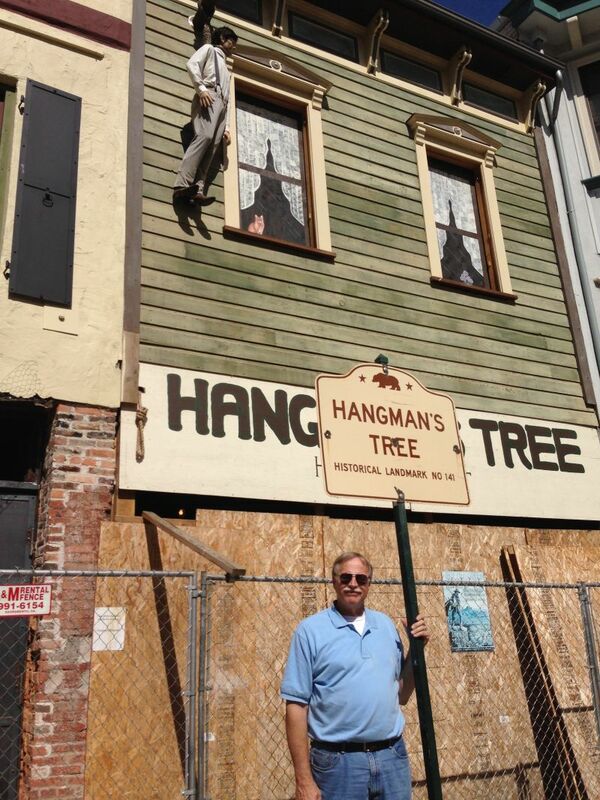 This was the site of Hay Yard, on which stood the 'Hangman's Tree.' 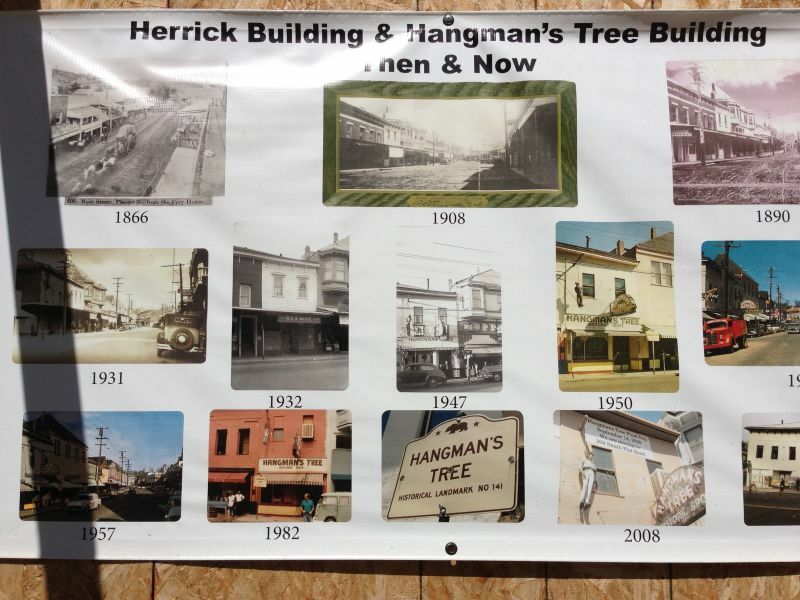 The stump of the tree is under the building on which the plaque is placed.